Very often the shellcode authors will try to obfuscate the shellcode in order to bypass the ids/ips or the anti-viruses. This kind of shellcode is often call an “encoded shellcode”. The goal of this ticket is to propose an (rather simple) encoding schema and the decoding part written in assembler. An encoded shellcode is a shellcode that have the payload encoded in order to escape the signature based detection. 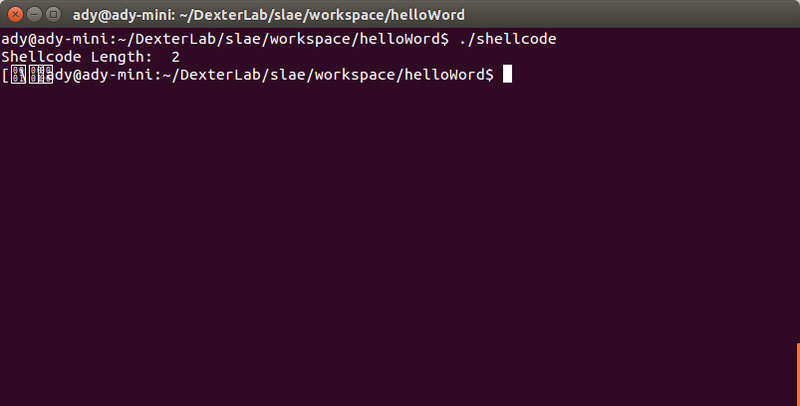 To work correctly the shellcode must initially decode the payload and then execute it. For a very basic example you can check the A Poor Man’s Shellcode Encoder / Decoder video. the payload is split in different blocks of random size between 1 and 9 bytes. the first octet of each block represents the size of the original block. the last character of the last block is a special character represented a terminal (0xff). If you want to play with this encoding schema you can use the Random-Insertion-Encoder.py program that will write to the console the encoded shellcode for a specific shellcode. So, initially the payload will be encoded (with the custom shema) and when the shellcode is executed, in order to have a valid payload, the decoder should be executed. The decoder will decode the payload and then pass the execution to the payload. The first problem that the decoder should solve is to find the memory address of the encoded payload. In order to do this, we will use the “Jump Call Pop” mechanism explained in the Introduction to Linux shellcode writing (Part 2) (paragraph 5.1 ). A few words before showing you the code of the decoder. The decoder basically moves bytes from the right toward the left and skip the first byte of each block until the terminal byte is found. For the move of the bytes the lodsb and stosb instructions are used. These instructions are using the ESI (lodsb) and EDI (stosb) registers, so you can see ESI as a source register and EDI as a destination register. The DL register is used as block bytes counter and the CL register contains the content of the first byte of each block. So, in order to know if all the bytes of a block had been copied a comparison between DL and CL is done. A special care should be take before the ESI register is incremented; either manually or automatically by the lodsb instruction. A check should be done if the ESI points to the terminator byte and stop the copy otherwise the decoder will try to read memory locations that do not have access (and the program will stop with a core dumped exception). use the procedure proposed in the Introduction to Linux shellcode writing (Part 1) paragraph 2 (Test your shellcode) to compile the shellcode and insert it in a target program. All the source codes presented in this ticket can be found here: gitHub.